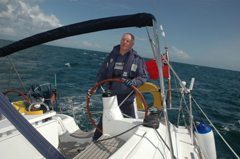 Fal sailing are proud to provide the best quality sailing and Rib charter in the UK , we can offer either bare boat or skippered charters. 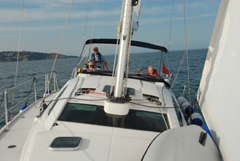 Fal sailing has purchased a fleet of brand new 2009 boats from the market leader Jeanneau, easy to handle with great accommodation and excellent sea keeping qualities will be sure to provide a great holiday afloat. Fal sailing is based in Brixham for 2009 and hope to move to Port Falmouth Marina in 2010 the one of the largest deep water harbours in the world, Brixham and Falmouth provides year round sailing in stunning surroundings with lots of beautiful places to visit as well as being close enough to the Silly islands. At Fal Sailing we promise to provide you with a first class service, up to date boats and equipment and all the time you need to fit our service to your needs. 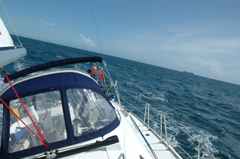 Use the links below for more details on our primary services, Yacht Charter and Rib Charter. If the service you're looking for is not listed, please call us because there's every chance we offer it and it should be here!! 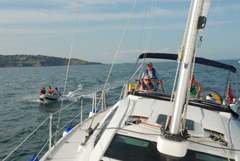 The sailing area from Brixham incorporates some of the most scenic and varied waters in the UK. Along the coastline there are numerous picturesque and sheltered harbours, whilst further afield there are the magical Isles of Scilly, the Channel Islands and the French coast. We are offering a fabulous first season offer of a 15% discount off any bare boat yacht charter completed before the end of 2009.